220-Use of this system constitutes consent to security monitoring and testing. 220-All activity is logged with your host name and IP address. lftp UNIX / Linux client is also SSL aware client. It needs to compiled with OpenSSL (configure –with-openssl). 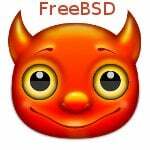 FreeBSD /usr/ports/ftp/ftp-tls/ – Ftp client based on the OpenBSD ftp client code, implements the FTP AUTH TLS IETF draft. 16:53:43	Response:	220-Use of this system constitutes consent to security monitoring and testing. 16:53:43	Response:	220-All activity is logged with your host name and IP address. 16:53:43	Response:	234 Proceed with negotiation. 16:53:43	Status:	TLS/SSL connection established. 16:53:43	Response:	331 Please specify the password. 16:53:43	Response:	230 Login successful. 16:53:43	Response:	200 PBSZ set to 0. 16:53:43	Response:	200 PROT now Private. 16:53:43	Response:	200 Switching to Binary mode. 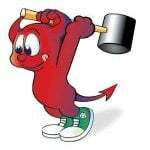 16:53:43	Status:	Server sent passive reply with unroutable address. 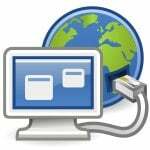 Using server address instead. That is with Active mode on in Filezilla, it still tries passive, but, using FlashFXP and choosing option Use ‘STAT -L’ to list directory it works perfectly.. is there something i can do to make this work with Filezilla or even dreamweaver, i want a secure connection to our server but i have 2 outside people who need access to this server and prefer to use Filezilla or dreamweaver built in ftp client. I took the easy way out and just enabled passive mode adding the various passive_ options instead of trying to make it work under active mode. The various passive_options you mention….are they enabled in the vsftpd.conf file? I’m not real familiar with vsftpd but I also need to use Filezilla as an ftp client. Thanks! I also had a problem with selinux ! semanage fcontext -a -t public_content_t "/etc/vsftpd(/.*)?" this won’t work because FTPS (vsftpd supports this) and SFTP (vsftpd doesn’t) are completely different protocols. There’s a lot of confusion on the net about this. I don’t think vsftpd can be used on port 22 at an SFTP client. VSFTPD definitely supports SFTP and has for many years. 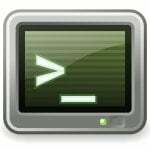 I’m running Debian (old-Sarge) and I’m using lftp to connect to a UNIX FTP server via ftps. In trying to get or put, i receive: get/put: Fatal Error: SSL_READ Wrong Version Number. I’ve tried self signing a certificate (although I’m not sure I did it right), and all of the other really scarce information I’ve found on this subject. The server isn’t mine, it belongs to a customer, so I have no insight into their configuration. Can someone give me an idea of where to go here?